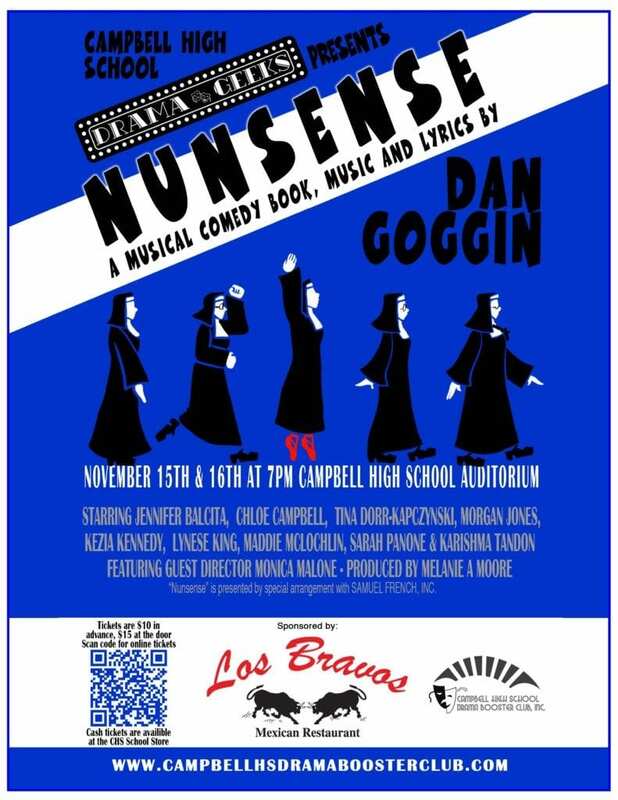 The Campbell High School Drama Club will perform Nunsense, the popular musical by Dan Goggin inspired by a line of humorous greeting cards. 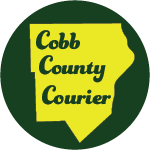 The show will run this Thursday November 15 and Friday November 16 at 7 p.m. Tickets are $10 in advance, and $15 at the door. Nunsense began in 1985 as a cabaret show based on the greeting cards, and was expanded into a musical, which became the second-longest-running Off-Broadway production in history. Monica Malone is guest director for the production. In a phone conversation with the Courier she commended the hard work of the cast. She told the Courier that she was called on to direct after the original director was unable to continue. She said that by the time she took over, casting had already taken place, the cast had learned their roles and that the students worked hard and made her transition into the director’s role smooth. Monica Malone is a Texas native actress and dancer. She studied Musical Theatre at Sam Houston State University with an emphasis in dance. While in school she was able to perform in such shows as Machinal, Cabaret, The Caucasian Chalk Circle, and Noises Off. She recently moved to Atlanta to study with the Atlanta Shakespeare Company where she was able to train for a year and performing in their production of Richard II. 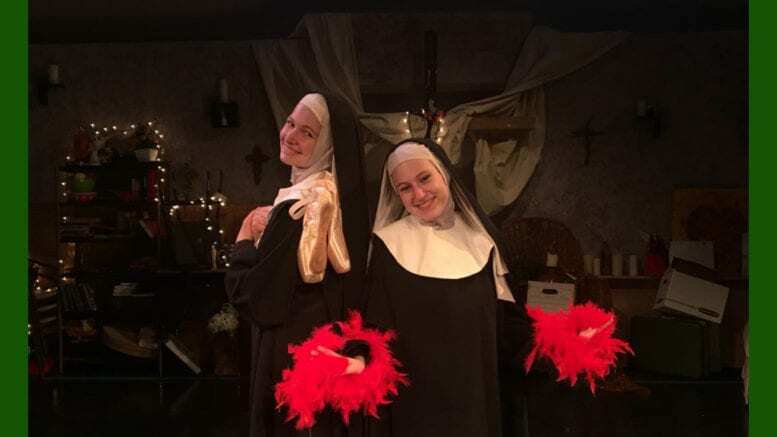 Monica has loved to choreograph ever since she was young and has been able to start working on her choreography resume with such musicals as 13 the Musical and this production of Nunsense. She is excited to make her directing debut with this show as well! To see Monica’s upcoming work, be sure to check out Working: A Musical at Out Of Box this summer where she will step into the role of choreographer once more. The cast includes Jennifer Balcita, Chloe Campbell, Tina Dorr-Kapczynski, Morgan Jones, Kezia Kennedy, Lynese King, Maddie McLochlin, Sarah Panone and Karishma Tandon. Be the first to comment on "Nunsense at Campbell High"